Wood material used indoors and in furniture requires appropriate surface treatment and regular maintenance. Surface treatment refreshes the wooden surface giving it a decorative and polished final touch. 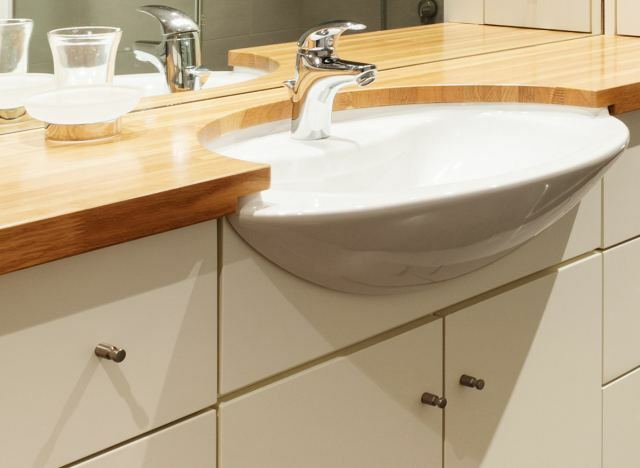 Surface treatment makes cleaning easier, and also protects the wooden surfaces from moisture, swelling and distortion. The right surface treatment protects the surface from dirt and dust, and also from mechanical wear. With the right surface treatment, your valuable wooden furniture and surfaces last longer. The Maston products for wood provide a natural surface and bring out the beauty of the wood. Our selection provides wood treatment agents for both new and previously treated wooden surfaces. We offer many alternatives, all of which enable you to achieve simply great final results. The Maston products are also easy, fun and rewarding to use. Maston Water-based Staining Varnish is a transparent and ready-to-use staining varnish for protecting untreated and previously treated surfaces. Also suitable for childrens toys. Complies with requirements of DIN 69961-1C and EN71-3 standards. FOR INDOOR USE ONLY. Gel. Before use: Sand the surface with abrasive paper. Clean the surface from dust, oil, grease and other impurities. Drying time: (+20°C) dust dry ca. 20 min, touch dry ca. 2 hours, total dry ca. 24 hours.